Health updates on Trey Burke and Caris Levert, as well. 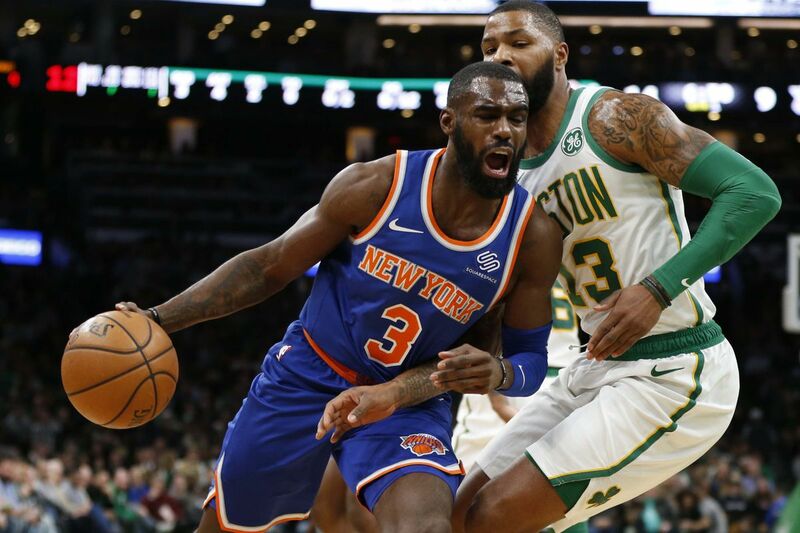 Tim Hardaway Jr. has been the model of consistency recently for the New York Knicks. The guard played four games last week, averaging 17.5 points with three games of 20 or more. He’s the leading scorer, and one of the few bright spots, for a Knicks team in the midst of a four-game losing streak. He tallied 20 points on 15 shots Monday against the Wizards, including 4-of-9 from deep. He did this in the face of former All-Star guards in John Wall and Bradley Beal. He also battled to 22 points Thursday versus the Celtics and 21 points Sunday night against the Hornets. He scuffled to just seven points in a Saturday loss to crosstown rival Brooklyn. He’s having a breakout winter. In his career, he managed a solid 12.8 points, 1.8 assists and 2.5 boards a game. He’s boosted his numbers this year to 21.5 points and over three dimes and caroms a contest. With the rest of Michigan’s NBA alumni nursing injuries or fighting for playing time, Hardaway has proven to be the most successful and durable former Wolverine at this time. Hardaway’s former Michigan and current New York teammate Trey Burke is “day to day” with a knee injury. He hasn’t played since Nov. 28. Brooklyn net guard Caris LeVert is “back in the gym” this week to continue working his way back from a dislocated foot. Phoenix Suns guard Jamal Crawford is slowing down in his 18th season. After averaging nearly 15 points a game in his career as a sixth man, he’s currently mustering 6.6 a night. He racked up just 14 points on 21 shots in three games this past week, with two six-point outings in losses to Miami and Sacramento. Pistons wing Glenn Robinson III started Friday against the Philadelphia 76ers. He made a dent in the stat sheet, reaching five points, three rebounds and a steal in a 117-111 loss. On Monday against the Thunder, he racked up six points and six caroms in a 27-point defeat. He’s finding plenty of minutes in MoTown, scoring five points a contest in over 16 minutes a night. Portland gunner Nik Stauskas totaled 19 points in three games this past week, despite only sinking one trey. He’s averaging seven points a game, while connecting on 36 percent of his threes. The Milwaukee Bucks recalled forward D.J. Wilson from the G-League last Tuesday and promptly scored seven points in six minutes against the Detroit Pistons, with six of those points coming from threes. Friday Michigan Recruiting Roundup: Reactions from recent visitors We have more visitor reactions for this week’s final Recruiting Roundup.